In a microwave-safe bowl or saucepan, heat the milk and butter to 120 to 130°F. Stir the liquid together well before taking the temperature, and for best results, use a digital read thermometer. The liquid should feel hotter than lukewarm, but not so hot that it is uncomfortable or burns. Spread the dough/batter evenly into the prepared pan. Cover and let rise in a warm, draft-free place for 1 hour. Towards the end of the cake's rising time, place a rack in the center of the oven and preheat the oven to 375°F. 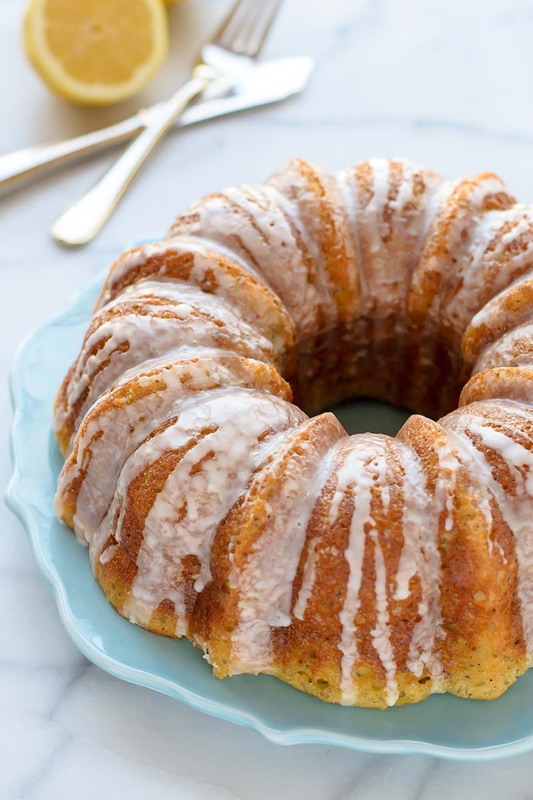 To prepare glaze: whisk together the powdered sugar, lemon juice and milk in a small bowl, until smooth. Drizzle glaze over cooled cake and serve. Recipe created by Well Plated by Erin.